Why did you decide to self-publish Lady Death again? 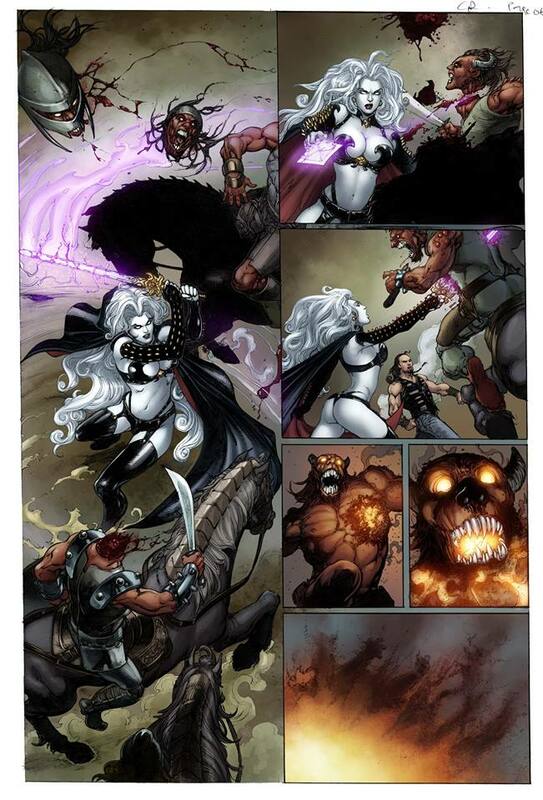 What do you think it is about Lady Death that connects with readers so much? 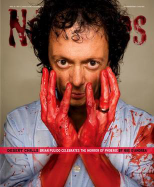 What can you tell us about the plot of the new 48-page graphic novel? Why did you decide to use Kickstarter for this project? What are some of the incentives for fans to contribute to your Kickstarter? “I’ll tell you a range. 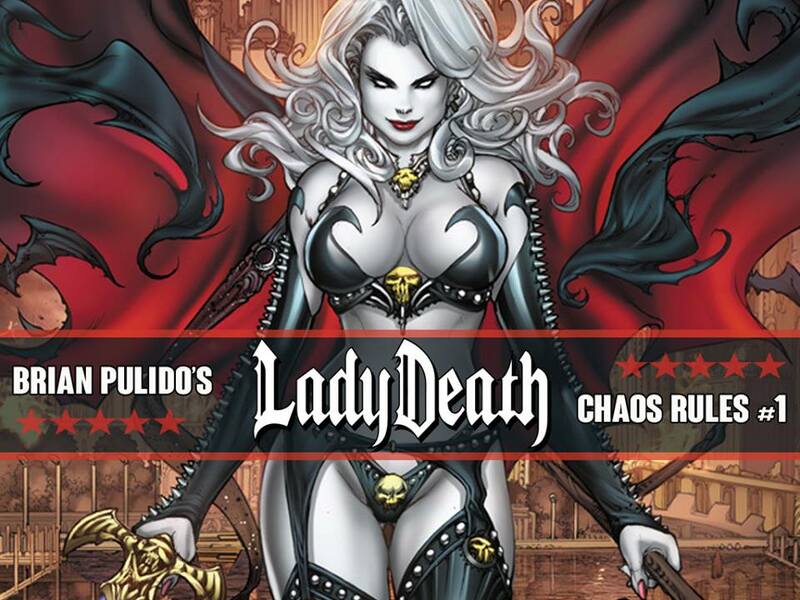 If a person pledges five dollars, they can get a digital download of Lady Death Chaos Rules #1. For a $20 pledge, they’ll get the actual 48-page graphic novel, and then it ranges up, where we actually have Kickstarter-exclusive editions, including a jeweled edition, enhanced with actual Swarovski crystals and limited to 99; a metallic edition with a real metal cover, limited to 66, and then we get even crazier. We have an edition called the “Killed by Death” edition, limited to 6 copies, where six fans can actually be beheaded by Lady Death. We will draw them into page eight of the book. Not to be outdone, we have even one more crazier one. Our Kickstarter happens to coincide with the 21st anniversary of Lady Death, so we are presenting “Lady Death #1, diamond edition.” This is an edition limited to one – the rarest Lady Death comic we’ve ever created. It is a metal cover, and encrusted into the hilt of Lady Death’s sword is an actual high-quality, one-carat diamond, with an appraised value of over $6,000, as appraised by Scottsdale Fine Jewelers. It’s off the charts. And to commemorate the event, there are assorted limited-edition prints… even a Lady Death vinyl statue. So we’re coming out with guns blazing.